The vision for the Message HUB in Central and South America is to ensure all believers have access to the Word of God for our day, in order to strengthen and empower individual believers and churches alike. To help to accomplish this vision, it is our desire to continue to see more translations of Brother Branham’s messages into the Spanish language to be completed, and to be able to provide print stations and training in key areas that allow for effective printing, distribution and support for as many surrounding churches as possible. Currently, there are a total of 486 Spanish messages uploaded on the HUB and we are rejoicing as more continue to be added on a regular basis. Work has also begun to translate from Spanish into the traditional Quichua language, native to Ecuador and Peru. In 2010, four print stations were set up (one in Ecuador, one in Bolivia, and two in Peru) with the help of Brother Richard Sieunath, Brother Reuben and Brother Peter from the Time of Life Assembly in Trinidad and Tobago. The next countries to establish print stations in South America are Paraguay (April); Argentina (July) and Uruguay before the end of 2011. For the future, print stations in Nicaragua, Costa Rica, and Panama and Lima, Peru are also planned. The needs in this part of the world, as in many, are great, and the work endless. 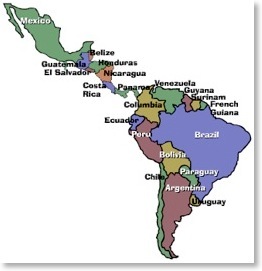 We can only ask that you remember the believers and the continuing work in South America in your prayers and support. May the Lord our God be glorified in all things!